For African Americans, historically and modernly, however, communion may hold additional significance. Along with the ritual meanings enumerated above, Henry Mitchell, author of Black Church Beginnings, notes the relationship between the African practice of libation, that is, the pouring of liquid as a memorial and honor to the ancestors, and communion, which is practiced in memory of the notion that Jesus’ death on the cross was redemptive.2 Mitchell cites such examples of African elements and sensibilities in the practices of Christianity to suggest a synergy between African American Christian worship and African practices that tie African Americans to the continent of Africa and to African Traditional Religions as well as to the earliest religious practices of those who were enslaved in the Americas. Such a connection, he maintains, demonstrates the tenacity of black faith and spirit, and the pervasiveness of African culture in black religion.3 As such, Holy Communion offers an opportunity for African Americans to embrace their heritage, remember their forbearers and celebrate the existence of their religious communities. Other churches have incorporated practices of libation alongside Holy Communion as a means of making the relationship between the two obvious. In order to make it a distinctly African American Christian form of libation, some congregations commemorate African American Christian ancestors, such as Nat Turner or Harriett Tubman, as part of their communion ceremony. To understand what the cross means in America, we need to take a good long look at the lynching tree in this nation's history -- "the bulging eyes and twisted mouth," that "strange fruit" that Billie Holiday sang about, "blood on the leaves and blood at the root." The lynched black victim experienced the same fate as the crucified Christ. The cross and the lynching tree interpret each other. Both were public spectacles, usually reserved for hardened criminals, rebellious slaves, and rebels against the Roman state and falsely accused militant blacks who were often called "black beasts" and "monsters in human form" for their audacity to challenge white supremacy in America. Any genuine theology and any genuine preaching must be measured against the test of the scandal of the cross and the lynching tree. "Jesus did not die a gentle death like Socrates, with his cup of hemlock.... Rather, he died like a [lynched black victim] or a common [black] criminal in torment, on the tree of shame." 6 The crowd's shout, "Crucify him! (Mark 15:14), anticipated the white mob's shout, "Lynch him!" Jesus' agonizing final cry from the cross, "My God, my God, why have you forsaken me?" (Mark 15:34) was similar to the Georgia lynching victim Sam Hose's awful scream, as he drew his last breath, "Oh my God! Oh, Jesus." The cross and the lynching tree need each other: the lynching tree can liberate the cross from the false pieties of well-meaning Christians. The crucifixion was a first-century lynching. As preachers and theologians, we must demonstrate the truth of our proclamation and theological reflection in the face of the cross and the lynched black victims in America's past and present. When we encounter the crucified Christ today, he is a humiliated black Christ, a lynched black body. The church's most vexing problem today is how to define itself by the gospel of Jesus' cross as revealed through lynched black bodies in American history. Where is the gospel of Jesus' cross revealed today? Where are black bodies being lynched today? The lynching tree is a metaphor for race in America, a symbol of America's crucifixion of black people. It is the window that best reveals the theological meaning of the cross in this land. In this sense, black people are Christ-figures, not because we want to be but because we had no choice about being lynched, just as Jesus had no choice in his journey to Calvary. Jesus did not want to die on the cross, and blacks did not want to swing from the lynching tree. But the evil forces of the Roman State and white supremacy in America willed it. I know it was His blood for me. that's why I know it was His blood that saved me. His blood came streaming down for me. and I know it was the blood that saved me. The blood came streaming down for me. Additional beloved communion songs include: “When I Survey the Wondrous Cross,” by Lowell Mason; “At Calvary,” by Daniel B. Towner; and “For God So Loved the World,” as sung by the Gospel Music Workshop of America. See the video of the interview between Bill Moyers and James Cone, in which Cone explains his rationale for equating the death of Jesus on the cross with black bodies on lynching trees. Without Sanctuary online museum. Online location: www.withoutsanctuary.org/ offers a electronic library of lynching photos and the background stories of many of them. Kirk-Duggan, Cheryl A. African American Special Days: 15 Complete Worship Services. Nashville, TN: Abingdon Press, 1996. Wilson Costen, Melva. African American Christian Worship. Nashville, TN: Abingdon Press, 2007. 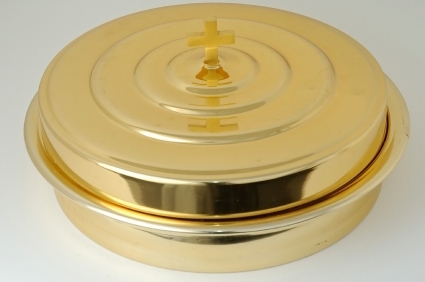 For African American communion bulletins see http://shop.cbn.com/cbn/item.African-American-Communion-Broadman-and-Holman-Publishers.9780805438130.htm [African American communion bulletins]. 2. Mitchell, H. Henry. Black Church Beginnings: The Long-Hidden Realities of the First Years. Grand Rapids, MI and Cambridge, UK. : William B. Eerdmans Publishing Company, 2004. p. 14. 6. Hengel, Martin. Crucifixion. Philadelphia, PA: Fortress Press, 1977. p. 90. 7. Neibuhr, Reinhold. “The Terrible Beauty of the Cross.” The Christian Century 21 Mar. 1929: 386-388. 8. Cone, James. “The Cross and the Lynching Tree.” The African American Pulpit. (Spring 2008): 18-26. 9. Towner, Daniel B., “I Know it was the Blood.” Arr. by the Miami Mass Choir. 10. Crouch, Andraé “The Blood Will Never Lose Its Power.” Rock of Ages. New York, NY: EMI/CMG Music, 2008. 11. “Now Behold The Lamb.” Kirk Franklin. Kirk Franklin and the Family – Christmas. Inglewood, CA: Gospocentric, 1995.